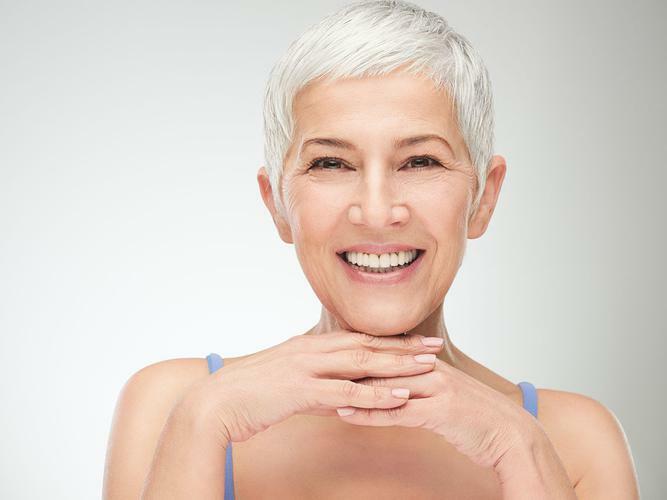 SPONSORED STORY - Ageing is a natural process that many Australians embrace, but for some the desire to look in the mirror and see a more youthful face looking back is hard to shake. The good news is that there are a number of options to help you 'age gracefully'. With over fifteen years experience in cosmetic surgery, Dr Joseph Ajaka from Cosmos Clinic, has some suggestions for some of the most common ageing-related problems he has experienced. He says one of the biggest mistakes people make as they age is in the clothes they wear. “The clothes you choose and their colour can be ageing,” Dr Ajaka explains. “As time advances, our skin tone alters, and the definition between the eyes, hair and skin tone fades away - leaving us looking one colour (or washed out). “A careful choice of colour next to skin can rewind the clock and highlight and emphasise skin tone and eye colour. He adds that in order to get the best results, you may need to say goodbye to some of your favourite colours. “But don’t despair; you might find that colours you used to avoid are now your best friend. And if you still love wearing black? There’s no reason to stop. Another common change-up you can test out is the makeup you use and how you apply it. Dr Ajaka says this can help issues of a face ‘losing its framing’. “Just as the colours of your clothes might need rethinking, so too will your make-up,” he explains. “If you’re still in the habit of using the same cosmetics and techniques that you did twenty or more years ago, it’s time for a revamp. It doesn't mean you need to throw out your current makeup, simply that you’ll need to invest in a few new items. Other common issues or concerns people may face as they age include a ‘loss of radiance’ in the skin and ‘looking stressed’. Dr Ajaka says working on these areas is all about healthy living. “Lost your youthful glow? Look to Omega 3s,” he says. “Found naturally in salmon, seeds and nuts, they are anti-ageing heroes thanks to their ability to reduce inflammation of the body and skin ageing. “Not only do Omega 3s reduce inflammation, but they also aid the removal of fat stored in unwanted places such as the hips. A recommended daily intake of two grams of omega oil is that is needed. If, however, your diet doesn’t meet this recommendation consider taking a fish oil supplement. “Regular exercise is also great - not only does it help keep our bodies in shape, but it also makes our skin radiant. “Those who know how to age gracefully practice gentle yoga where as much effort goes into the movements as it does the breathing practice and the mindful approach. He adds that although the above techniques can help address some of the common issues relating to ageing, the team at Cosmos Clinic can offer some supportive alternatives. “It’s only natural that our faces sag as we age, largely due to the effects of gravity,” Dr Ajaka explains. “Using the techniques above can help to address some common issues relating to ageing. “However, you may wish to consider seeing us to discuss the use of dermal fillers to smooth fine lines and restore volume. “At Cosmos Clinic me and my team of qualified injectors use dermal fillers to add volume around in the cheeks, under the eyes, and along the nasolabial folds and marionette lines. More information about Cosmos Clinic and the services Dr Ajaka and the team offer can be found online or by calling 1300 138 797. More about dermal fillers offered by Cosmos Clinic can be found via their YouTube channel.